Semil is an experienced blogger/technologist. He is also an investor and advisor to several startups as well as a consultant to venture firms. He is currently working on a few projects: (1) product marketing and distribution for Swell; (2) working in venture capital and currently an investor in Developer Auction, Paddle8, Instacart, Hashicorp, Exitround, HelloFax/HelloSign, and a few more (3) a long-time columnist for TechCrunch; and (4) building Haywire Media as his blog and video forum. Previously, he spent six months in 2012 as an EIR with Javelin Venture Partners, a San Francisco-based venture capital firm investing in software startups for consumers and the enterprise, as well as in cloud technologies and infrastructure. Prior to this, he has held operational roles at Votizen and Rexly (acquired by Live Nation) and has also been an Official Columnist at TechCrunch since January 2011, where he writes a weekly column on Sundays ("Iterations") and runs a weekly television show on Thursdays ("In the Studio)," where he hosts founders, operators, and seed-stage and venture capital investors in the TechCrunch TV Studios. He has written extensively on the forces changing high-technology venture capital, how the industry is transforming, and consumer-facing and enterprise IT technologies. Laura Chicurel is the founder of Woman Startup and a serial entrepreneur having started projects in 4 different countries. Deeply involved in women causes, she has coached women entrepreneurs across continents to help them achieve their dreams. She is also a board member of Women Investing in Women LLC. 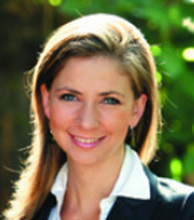 Kimberlie L. Cerrone has significant startup, industry and major law firm experience. In 1987, she co-founded Neurobiological Technologies, Inc. She has served as a C-level executive at nine venture capital-backed companies; two of which she saw from the initial startup phase through IPOs. Kimberlie is currently the co-founder and CEO of Tiatros Inc., a digital health company headquartered at the University of California, San Francisco Medical Center. Kimberlie graduated from the University of Illinois. She earned a Master of Science degree in biochemical pharmacology from NYU. She has an MBA from University of San Francisco. She graduated from the Hastings College of the Law. She is a licensed California and patent attorney. She lives in San Francisco, CA. Rachel Hinman is a researcher, designer and a recognized thought leader in the mobile user experience field and author of The Mobile Frontier: "A Guide for Designing Mobile Experiences". Her current passion is exploring the intersection of wearable technology and fashion and creating technology platforms that enable fashion designers to be the developers of future wearable technology experiences. Currently, Rachel is a freelance researcher, designer and strategist. With a background in UX consulting coupled with a wealth of experience in corporate research labs, Rachel is especially adept at helping companies bring engaging, new-to-the-world experiences to life. Previously, Rachel was a Senior Research Scientist with Intel focused on wearable technology. Prior to Intel, she was a Senior Research Scientist at the Nokia Research Center, an Experience Design Director at Adaptive Path, and a Mobile Researcher and Strategist for Yahoo's mobile group. Rachel writes and speaks frequently on the topic of mobile research and design and her perspectives on mobile user experience have been featured in Interactions Magazine, BusinessWeek and Wired. 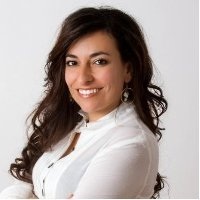 Mirjana Spasojevic is a senior mobile leader with a wealth of experience in developing innovative mobile products. Most recently, she co-founded and served as the Chief Product Officer of Kindoma, a startup focused on connecting geographically dispersed families and improving early childhood literacy. Kindoma's award winning products integrate mobile, web and video technologies into a platform that helps families read ebooks together over internet. 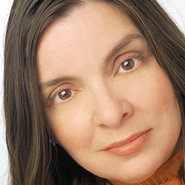 Previously, Mirjana served as a Director of Exploratory Research and Innovation at the Nokia Research Center, Silicon Valley and led research activities and technical teams at HP, Yahoo and Transarc. At Nokia Mirjana founded IDEA (Innovate Design Experience Animate), an entrepreneurial team of engineers, designers, and researchers, addressing all phases of the development cycle, from user research to the design, hardware-software prototyping, and delivery of final products. This team created family communication and connected reading products in collaboration with Sesame Workshop and Pearson Foundation. 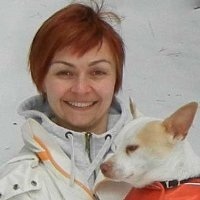 Mirjana is a recognized expert in HCI and Ubicomp fields with over 50 publications. 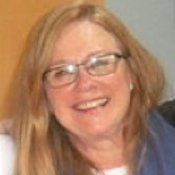 She has a PhD in Computer Science from Penn State University and has served as the General Chair of the HotMobile 2008 conference and the program co-chair of the Pervasive 2010 conference. Oksana Bovt is a creative director and founder of Theoria Creative. Oksana has been successfully helping tech start-ups and established companies communicate their ideas in a simple and engaging way to clients and potential investors. Her broad academic background in science and years of experience in marketing and design enables her to create compelling presentations for her clients. Oksana's clients range from early stage startups to well-funded companies to Fortune 500 giants like Google and Integra Telecom. 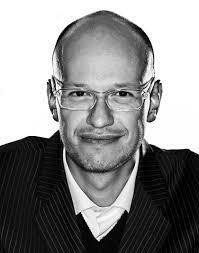 Adeo Ressi is the founder of the Founder Institute, The Funded and many other companies, advisor to several companies. Adeo runs the Founder Institute, a mentoring program that helps entrepreneurs launch hundreds of world-class companies each year. The Institute is the eighth start-up that Adeo has founded or built, four of which were acquired and three of which are still operating. 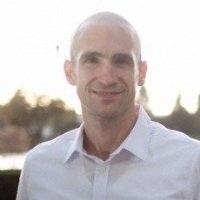 Nir Eyal writes, consults, and teaches about the intersection of psychology, technology, and business. Nir founded and sold two companies since 2003 and has taught the "Using Neuroscience to Influence Human Behavior" course as a Lecturer at the Stanford Graduate School of Business. Nir is also an advisor to several Bay Area start-ups and incubators. Nir’s last company received venture funding from Kleiner Perkins Caufield & Byers and was acquired in 2011. In addition to blogging at NirAndFar.com, Nir is a contributing writer for Forbes, TechCrunch, Business Insider, and Psychology Today. Bob is focused on investments in mobile applications and services as well as adjacent opportunities in hardware and software. 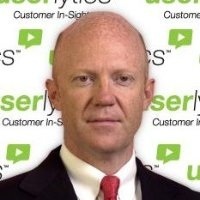 Prior to joining Opus Capital, Bob was part of the original iPhone team at Apple and was instrumental in the development, launch and global expansion of the revolutionary iPhone, iPhone OS, App Store and iPhone 3GS. Before Apple, he pioneered mobility solutions at FusionOne and spent six years at Nokia where he co-founded the Vertu business. Jason is a Product and Behavior Designer. Previously, he led product at social donation platform Rally. His experience in behavior design stems from working as an Applied Psychologist with Stanford University's Persuasive Technology Lab, and as a collaborator with Dan Ariely, behavioral economist and bestselling author of Predictably Irrational. As a member of the Persuasive Technology Lab, he led a project to come up with the world’s first taxonomy of human behavior - complete with strategies for changing each different behavior type. This was used as the behavior-change framework for the 2011 World Economic Forum in Davos. He advises Mingly, 500 Startups, and Lumoback - and is a Mentor for the Thiel Foundation's 20 Under 20 Program. In December 2011, he won grand prize at Aetna and RockHealth's RFP interface design challenge. Russell Pereira is an executive and company coach specializing in leadership and management development. Russell works with management and leadership teams of companies in the same way a sports coach works with professional athletes. The biggest difference is that instead of improving physical abilities, Russell focuses on sharpening critical interpersonal skills that are essential to developing talented employees and building great places to work. Russell has over 10,000 hours of training and coaching experience both here and in Australia and has worked with top executives from Google, Facebook, Zappos, Kiva and Pixar. Preetha Ram is a social entrepreneur, CEO and CoFounder of OpenStudy. 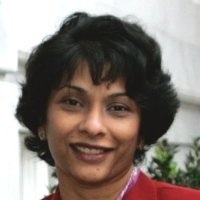 Preetha has deep expertise in higher ed, is an innovative thinker and award winning educator, an Associate Dean at Emory University, with degrees from Yale (PhD), Emory (MBA) and I.I.T Delhi. She has been selected as one of the "Top 50 Innovative Companies in Education, TechCrunch", “150 Innovators in Post Secondary Education” by the White House Sci&Tech, Dept of Education, Invited speaker, TEDx San Jose, "Paying It Forward", among many others. 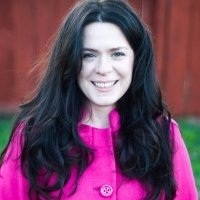 She co-founded OpenStudy.com a global social learning community of millions, a massively multilearner online study group. OpenStudy proves that social networks, gamification and peer to peer learning together can drive engagement and loyalty, and at scale among digital millenials. Under her leadership, OpenStudy has defied all norms and naysayers to emerge as an “addictive lifesaver” for last year’s 4 million visitors. Monique is the Co-Founder of Swing by Swing Golf - a mobile app with more than 2.5 million downloads and collects data on 250,000 rounds of golf every month. Using lean methods and crowd-sourcing her company built a network of 34,000 golf courses in 135 different countries in 2 years (with ZERO dollars in marketing spend). Swing by Swing has been featured in Golf Magazine, ABC, WSJ, the Chris Townsend Show, the Denver Post, Big Jon Vic's radio show and numerous golf blogs. SbS is also a member of LaunchPad LA. Monique is the mother of 3, has a background in wine and 7 years of consulting experience for small business. Heidi Mayon focuses on the representation of emerging growth and well established corporate clients. Her emerging company practice focuses on start-up formation, angel and venture capital financings and general corporate representation as well as liquidity events including initial public offerings and M&A transactions. Mrs. Mayon’s start-up practice focuses on companies in the enterprise technology, social media, gaming and software space, as well as consumer products. Lydia Sugarman is a parallel entrepreneur and social media strategist. She draws from 15+ years of digital, social media, mobile, and product marketing experience within the online space. She has worked with top F500 clients as well as mid-market companies, non-profits, arts orgs., and startups. Sugarman launched her own consulting and solution firm called PrivateLabel Interactive in 2001 and Venntive, a V3.0 SaaS deeply integrated marketing and sales platform in 2011. She is launching Personal Health Cloud in March, 2013. 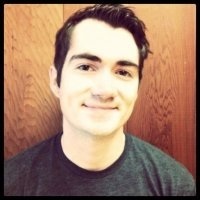 Patrick “Mad” Mork was the head of marketing for Google Play, Google's app store, where he led brand strategy, customer acquisition, and was part of the executive team responsible for Play's strategy. A veteran in mobile, Patrick previously was the CMO of GetJar where we helped grow the company from 7 - 50 people, managed developer and consumer marketing, PR and content partnerships and led much of the company's lead generation programs for advertising sales. Prior to that he worked extensively in the mobile games industry as head of marketing in Europe for both glu mobile and I-play where he was responsible consumer / carrier marketing, PR and product marketing. Patrick is passionate about the mobile start-up ecosystem and currently serves as board advisor to Onavo (backed by Sequoia) and mentor to Yetizen (the games startup accelerator). He speaks Spanish, English, French and Portuguese fluently, has lived in 11 countries and holds an MBA from Insead. Considered a go-to expert in mobile, he has appeared regularly in the press including on CNBC, Pim Fox's "Taking Stock", CBS (local) and has spoken at many conferences including SXSW, CTIA, GDC, Casual Connect and the Mobile Marketing Association forums. 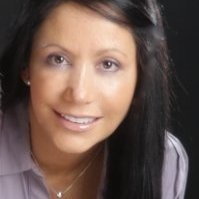 Patricia Diaz-Baker has fourteen years of hands-on experience in global ecommerce projects. Patricia designed and managed the business strategy and operations of several multi-million dollar global eCommerce sites and programs for Microsoft (www.microsoftstore.com), Symantec (www.symantecstore.com) and Electronic Arts (Origin.com). During her career, she has implemented B2B and B2C business models; with a focus on selling digital goods and services. She has led the strategy, funding and implementation of major WW technology and internationalization projects, specialized on ROI-based Customer Acquisition and Retention and opened and managed several WW Sales Call Centers to integrate assisted sales capabilities into eCommerce sites. Today, Patricia provides consulting services in partnership with primary research firms. Patricia received her BA in Business Administration at the Catholic University in Chile and her MBA at USC in Los Angeles. Sajjad Masud is the Co-Founder and CEO of Simplicant, a cloud-based platform transforming the way companies approach talent acquisition. Simplicant's cloud-based recruiting technology brings agility, efficiency and relevance to the process of sourcing and building great teams. Sajjad enjoys working with entrepreneurs and has been actively involved in the silicon valley entrepreneurial eco-system. He also helped start the HBS alumni angels group which now has global presence and chapters around the world. Sajjad started his career at Oracle and has held leadership roles with a variety of technology companies. Sajjad's thought/ s on technology, social media and cloud computing related topics can be found on Mashable, Huffington Post and several other publications. 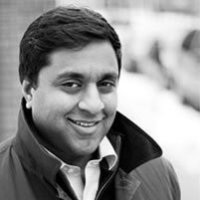 He holds an MBA from Harvard Business School and an MSE in Computer Science and Engineering from The University of Michigan, Ann Arbor. 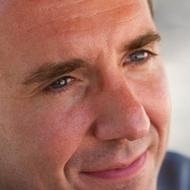 Dr. Michel Floyd is the Chief Technology Office of YouGov, a global online opinion research company. In this role he manages a globally distributed team of software engineers and data center staff developing and operating large scale research and analytics applications. 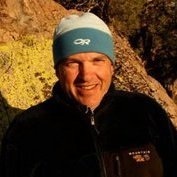 Dr. Floyd has worked for numerous startups in Silicon Valley since 1984, building and managing technical teams using a variety of technologies and development methodologies. He has two IPOs and has been involved in numerous acquisitions both sides. And he's also bombed a couple times. Michel earned his BS, SM, and ScD degrees in Aeronautics and Astronautics from MIT. He is on the board of the MIT/Stanford Venture Lab (VLAB) and advises a number of startups on technology architecture and strategy. Michel tweets from @MichelFloyd and can also be found on LinkedIn. Alejandro Rivas-Micoud is an international entrepreneur with domain expertise in the telecommunications, Software as a Service, and User Experience Testing fields. 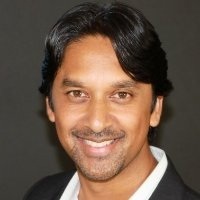 Previous companies he founded include Banda Ancha SA, a European mobile carrier sold to Clearwire Communications in 2006, Alo Comunicaciones SA, a fixed line carrier sold to Euphony Plc in 2006, Mediafon SA, an automated call centre and Userlytics Corporation, a remote usability testing platform. Alejandro is currently managing Scaling Overseas Corp, a private equity firm helping successful US startups set up international affiliates by providing capital and sourcing local management teams. Alejandro is a Nuclear Engineer with an MBA from INSEAD and a mentor at the Founders Institute. He is an amateur novelist, screenplay writer and movie director.